Last Fall, Mutant Football League made its way onto the PC so that once again players everywhere could main, mutilate, and massacre their opponents while also kind of playing American football. The original Mutant League Football, though, was a Sega Genesis title so while it was heartening to see the spiritual successor get made and released, many were hoping it would find its way onto the current gen consoles. Well, if you can wait just one more week, your wish will be granted. The 7v7 arcade sports title will get an Xbox One and PlayStation 4 release on Friday, January 19, 2018. Much like the PC version, four player local co-op will be supported in the Arcade, Season, and Playoff modes. Each player will play together on the same team against a team controlled by the A.I. One player will be the quarterback and call the plays while the remaining players will each assume a different position on the team, such as running back, safety, wide receiver, or center guard. 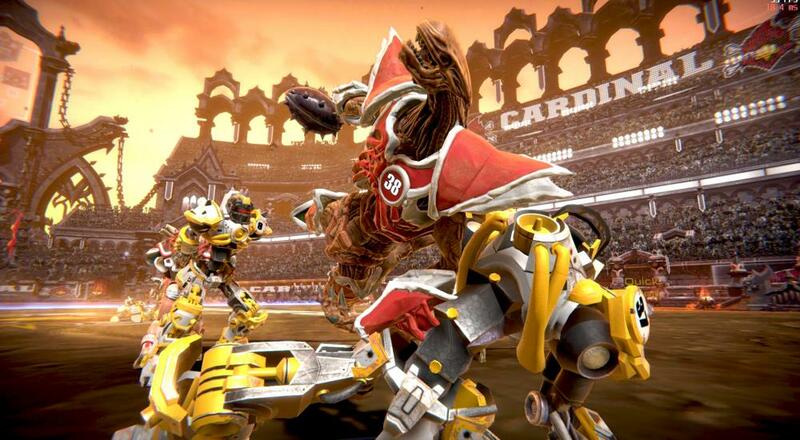 Mutant Football League is currently available on PC via Steam for $24.99. The game is also available on the Xbox One as part of the "Game Preview Program" for $24.99, and it's probably safe to assume it'll remain at that price once it's fully released. Page created in 1.0401 seconds.